Follow A Finger Tip's clue phrase to locate the Ainigmata Ostraka reward hidden on Ground Mount Parnassos. 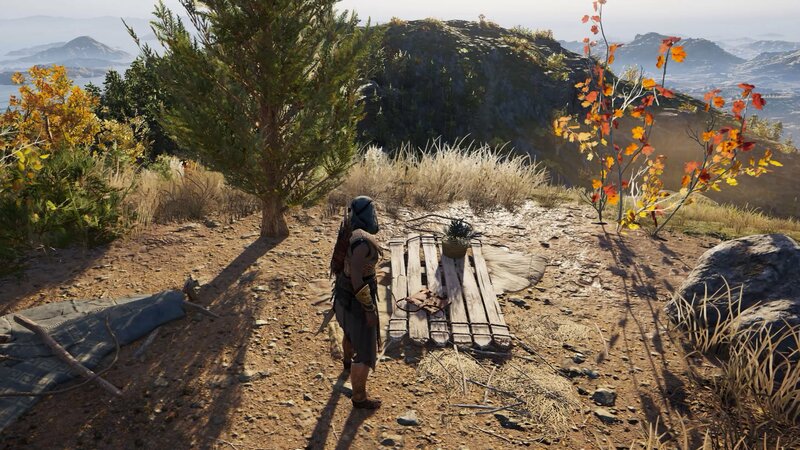 Nothing rounds out a powerful assassin like powerful gear, and Ubisoft has given Assassin's Creed Odyssey players a way to boost their gear through engravings earned by tracking down and solving Ainigmata Ostraka puzzles. One of them is named A Finger Tip, and the corresponding tablet is found atop the stone giant in the Valley of the Snake. "In the Valley of the Snake lies a giant half buried. From where its mossy finger points, head north to the peak where I can be found." Unlike some of the other clue phrases in the game, this one doesn't give players too many obvious hints toward the treasure's location; just a vague notion to head north from the giant's finger. 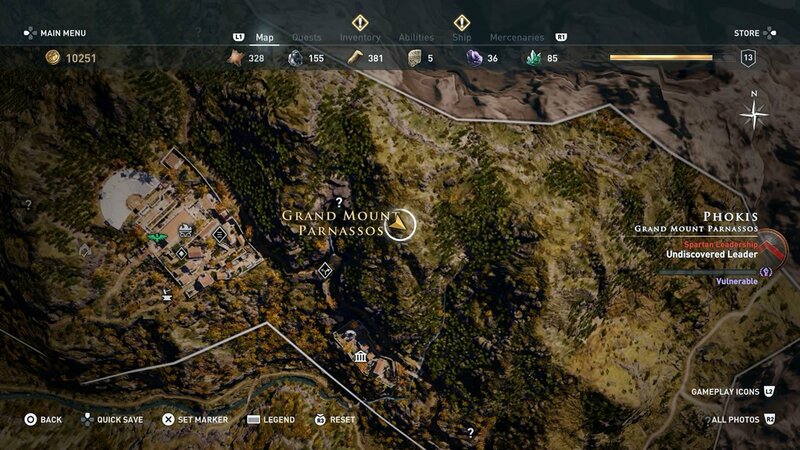 Fortunately, we happen to know that the phrase is pointing to an area in the middle of the Grand Mount Parnassos area in Phokis, just underneath the T in the word Mount featured on the in-game map. On top of the mountain peak, players will spot what looks to be the remains of a campsite. The treasure can be found there sitting atop several wooden planks. With A Finger Tip out of the way, players are all lined up to start tracking down even more Ainigmata Ostraka goodies. 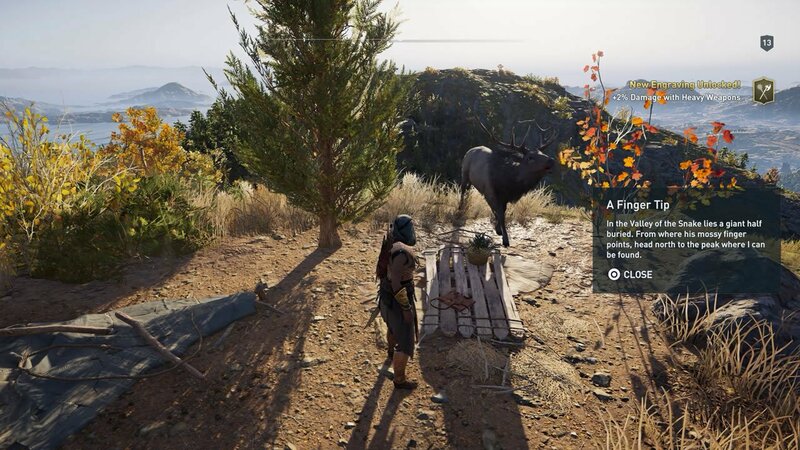 There's still plenty of secrets left to discover in the game, so be sure to head over to Shacknews' Assassin's Creed Odyssey walkthrough and guide to brush up on everything else Ubisoft's Ancient Greece has on offer.